Back in June 2017, I had just driven 1300 miles to Bar Harbor, where I was going to show my work at the annual Art in the Park art fair, then doing some hotel photography afterwards. Literally, within a couple minutes of walking in the door of my hotel room, I received an email from the publisher of Opal Magazine, who wanted to do a feature on my photography for an upcoming issue. A couple weeks later, a writer called to interview me and the story was underway. 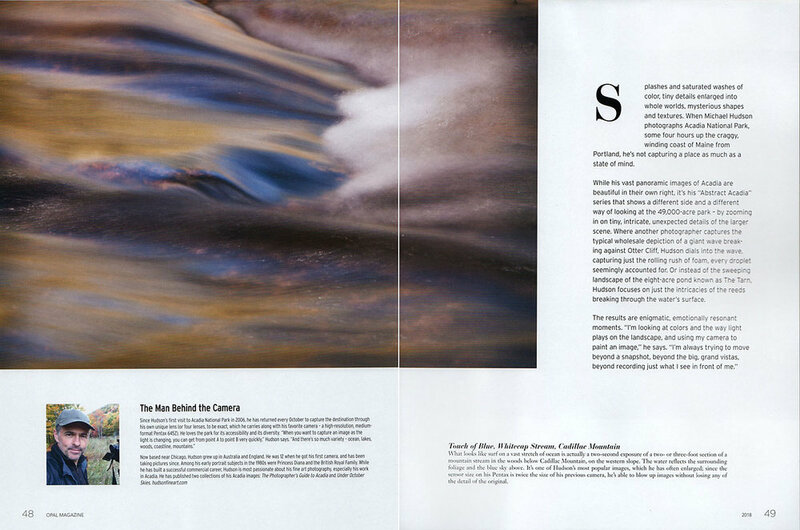 Opal is a high end publication for luxury hotels along the East coast, from Maine down to Florida. The coffee table magazine will be placed in every room at two of Bar Harbor's premier luxury hotels, the West Street Hotel and the Harborside Hotel, when they open this Spring. It was a long wait, but I've just received my copies of the magazine and it looks great. 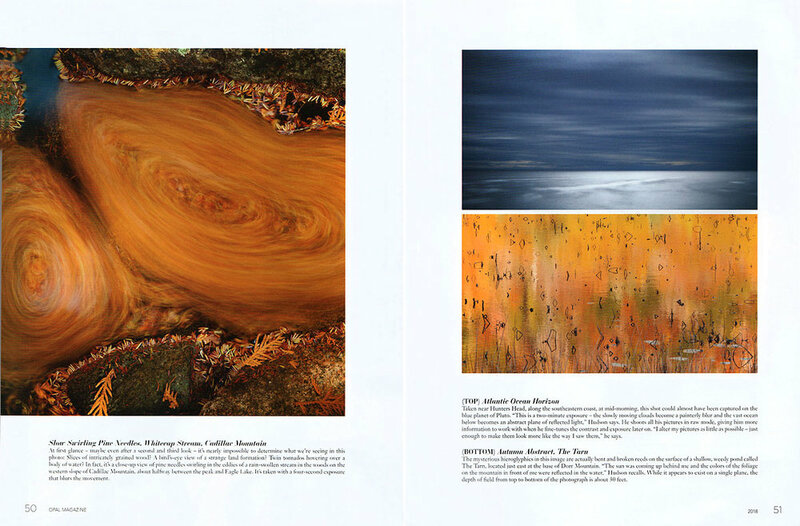 They've published a nine page spread of my Abstract Acadia images, where, among other things, I use camera movement, fast and slow shutter speeds and multiple exposures to create more artistic interpretations of the landscape. The images chosen are pretty different from the usual pictures you see of Acadia, but I'm proud of the the fact that they wanted to feature these more creative images. You can see some of the images they chose below, or visit the full gallery on my website here.